How Should I Choose Granite for My Kitchen Worktop? 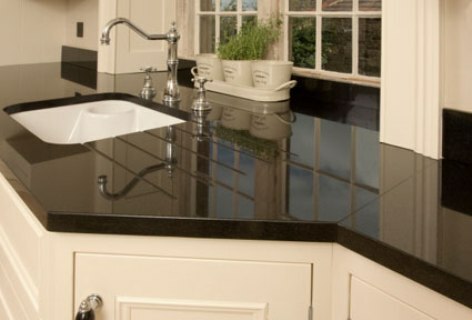 Granite is one of the most preferred worktop materials and that is because of a number of reasons. 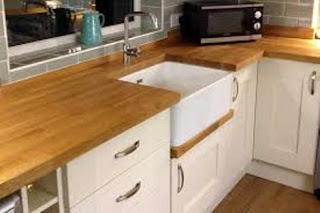 Kitchen worktops in London have gained a name not only for their classic looks but also for their outstanding durability and their unprecedented sturdiness. Making a choice from over 200 granite worktops is not something that you can do easily. From among them, only a few will match with the cabinet color at your space. Added to that, you have to choose quite carefully and ensure that you choose something that goes well with your kitchen lighting too. If this gets you all stressed out, then you should not fret. Most first-time granite purchasers go through this phase. Here are some of the tips that will help you to choose the perfect granite worktop for your kitchen. Analyze the Lighting - For the darker spaces that have minimum natural lighting you should choose speckled or natural light. Nevertheless, a darker shade like that of Black Forest with white stripes will be a great choice for kitchens that are overflowing with natural light. This is also effective if you are a parent and not concerned about the showing of dirt. Lighting is very important as choosing darker colored worktops for kitchens that have limited natural lighting can make the space look smaller than it is. Match the Granite with the Cabinets– There are two ways for pairing with the cabinets – you can pair the marbling with the veining, and the second way is to match the cabinets with the countertop color. If you want contrast, then you should choose granite worktops that are in contrast with the cabinets’ color but ensure that the veining of the countertop is similar to that of the cabinets. For example, expresso cabinets will go beautifully with spring cabinets. The second way is to match the color of the granite countertop with the cabinet, but the veining should be in contrast to the colors of the cabinetry like white spring granite looks great with the white cabinets. Choose Between the Slab or Tile Granite – You will need to decide if you want solid slab or tile granite. Granite can be installed as a solid slab or as tiles. The tiles will consist of a number of grout lines. But you will be able to get the look and feel of granite with that one and it will also be a budget-friendly option. In terms of materials and labor, the slab granites are said to be more expensive, but they also come with lesser number of grout lines and have a more luxurious look. Go for Samples – You should always go for samples, as that will give you some idea about what it may look like in the kitchen. 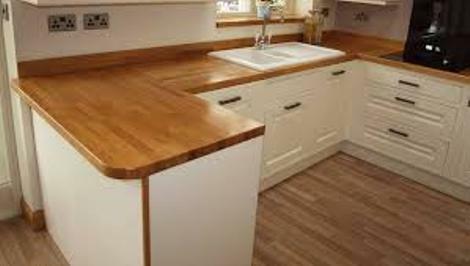 If you cannot take samples, make sure you take quality pictures of the worktops designs. After getting home you should cover the countertops with some neutral sheet and put the picture on the table to see how the countertop is going with the kitchen ambience. You should test this at different times of the day and see how the design interacts with the natural lighting of the space. The impact of the color depends on the temperature and the level of lighting. That is why your granite can look grey with a tinge of green, blue or purple depending on how cool or warm the color is. The above are some ways with the help of which you can select the right granite worktops for kitchens. This will help you get the true value for your money and come up with something that will truly accentuate the aesthetics as well as the functionality of the kitchen and help your get the kitchen interiors that you have always dreamt of. Author Bio: A passionate blogger and avid reader, Nitesh has exclusive expertise in Digital Marketing that he strives to share with millions through his blogs.